Last week I posed a historical question: when Jesus entered public life (at the age of 30) did he have all his teeth? It is a question which can’t be answered with certainty. There is no physical description of Jesus from contemporary sources to help us nor are there any physical remains, so to address the question you look analogically at what happens to 30 somethings who have limited access to dental care. Consider this: what would you look like today without the benefit of braces earlier in life? how about the bridges, the caps, the crowns, the whitening toothpaste? The chances are good you wouldn’t have that perfect, made for TV smile. This historical question has a theological component. You see most people have some image of Jesus in their heads. As they read the Gospels or pray, they imagine Jesus looking one way or another. Those images have been laid down in our experience. It may have come from a painting you saw on the wall in Sunday School like Sallman’s the Head of Christ (1941; see the Warner Sallman Collection). It could have come from a favorite movie like Mel Gibson’s The Passion of the Christ. 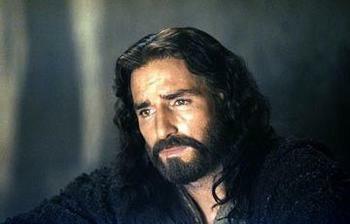 Jim Caviezel is a dashing, leading man type who portrayed Jesus in Gibson’s 2004 epic drama. 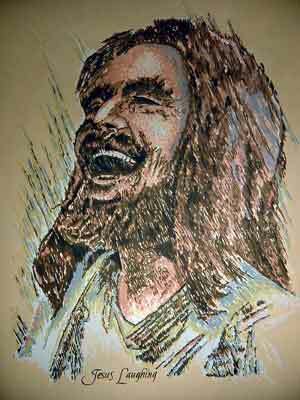 Or perhaps your favorite is the Laughing Jesus who has a nice set of choppers. But there is another place where our image of Jesus comes. From our theology. Orthodox theology tells us that Jesus is fully God and fully man. This means, at least in our sanctified imaginations, that Jesus is a perfect man, a man with no physical flaws or blemishes. A man taller than most, with eyes more penetrating than most, with teeth perfect and whiter than most. Our commitment to the divinity of Jesus often trumps our understanding of his humanity so that we could well imagine the infant Jesus speaking fluent Chinese from the manger. But to embrace the incarnation, a central tenet of faith, we must take seriously Jesus’ humanity. A truly human Jesus would have to learn to speak proper Aramaic and Greek. He would have to practice his letters to form them properly. What else could Luke mean when he said that Jesus grew in wisdom and stature (Luke 2)? 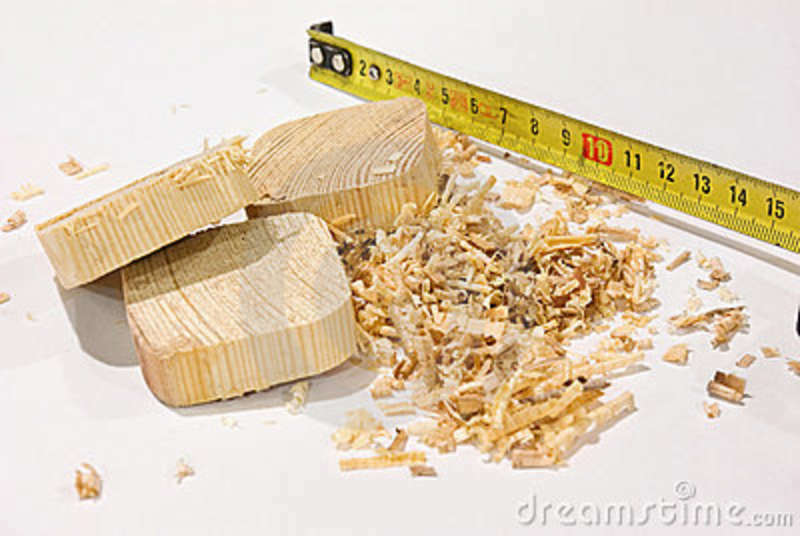 He would have had to apprentice with his father in the carpenter shop in order to make goods his neighbors needed. He would have had belly aches, vomiting, and diarrhea. He would have been laid up for days with the flu and had bunions and blisters on his feet. A truly human Jesus would have had toothaches and probably lost some teeth before he was in his 20s. Fortunately, his wisdom teeth would have come in about then in order to fill in the gaps and help chew his food. We are not very comfortable with a truly human Jesus because we’re not comfortable in our skin. So I guess it makes sense that we would think Jesus had a different kind of skin, skin that wouldn’t blister in the sun, freckle or wrinkle with age. Our Jesus may have been the Word made flesh (John 1) but He had a different sort of flesh than ours. The 2nd century Christians known as the Gnostics were so uncomfortable in their skin that they denied Christ his. He only appeared to be human. He only seemed to suffer for there can be no true participation of the divine in the ugliness of humanity. If the incarnation is true, if God has become flesh and dwelled among us in the historic person known as Jesus of Nazareth, and if Jesus truly died on the cross and rose bodily from the grave, then this body we inhabit matters. It matters to God. It must also matter to us. August 20, 2013 8:39 pm / 8 Comments on Did Jesus Have All His Teeth? 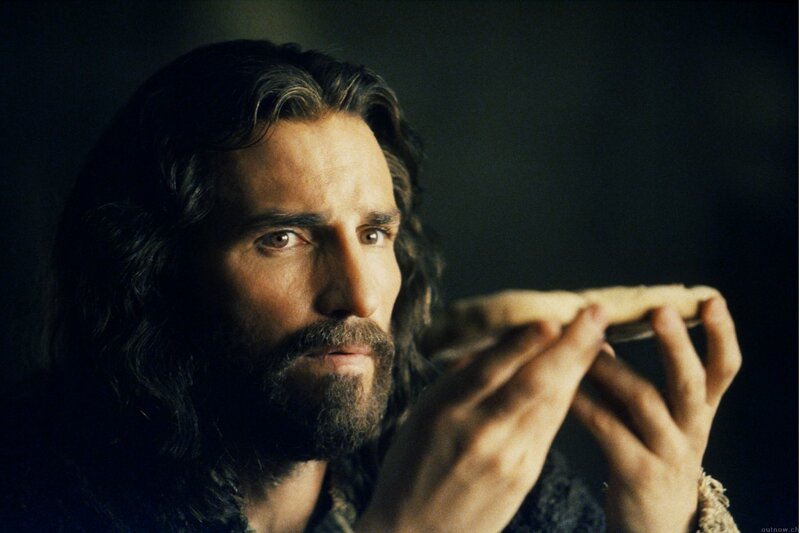 So, here is an interesting question: did Jesus have all his teeth? Now I’m not asking whether Jesus was born with a full complement of primary (or baby) and permanent teeth. I’m wondering whether Jesus had all his teeth when he left behind his private life in Nazareth for the more public life of an itinerant preacher and healer. According to Luke, he was “about 30” at the time. The question was prompted by two things. First, a conversation with colleagues, Dr. Randy Richards, dean of theology at Palm Beach Atlantic University, and Dr. Rodney Reeves, dean of theology at Southwest Baptist University in Bolivar, Missouri. We had co-authored a book in 2007 entitled Rediscovering Paul (InterVarsity). Randy had been a missionary in Indonesia for 10 years and had worked closely with indigenous populations far removed from the kind of health and dental care available to most western people. Second, last week I was in Boston and visited the Peabody Museum at Harvard. There was a photo-exhibition of indigenous people from Papua New Guinea. I noticed that most people photographed were missing teeth. Many of those people were of the same age as Jesus when he started his public ministry. Now this is first of all a historical question and historians base their conclusions on evidence. That evidence comes primarily in two kinds: literary and material. Literary evidence refers to written documents composed roughly from the relevant time period. Material evidence refers to the kinds of things archaeologists can dig up. To answer my current question we would need some physical description of Jesus from a contemporary source and the body of Jesus to examine. 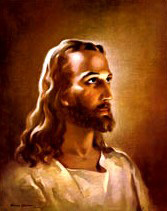 The earliest sources we have for Jesus (Christian and non-Christian) provide no details of his physical appearance. We don’t know how tall he was. We don’t know the color of his skin, his hair, or his eyes. The sources provide no description at all. We assume he had a beard based primarily on what was customary for men at the time. Now this may strike us as strange given our level of interest in peoples’ physical appearance. But our interests are different than the ancients’. Ancient biographies—the NT Gospels are types of biographies—were most interested in what a person said and did. That was the measure of a man, not the color of his eyes or the strength of his jaw. So there is no literary evidence. What about material? Well, if Christianity is correct, then the body of Jesus was transformed into a new kind of body at the resurrection on the first Easter. Therefore, no human remains would be available to examine. If Christianity is not correct, then the bones of Jesus could still be among us. The problem is: how would we know if we found them? Assume for a moment we unearthed a bone box (an ossuary) marked with the name “Jesus, son of Joseph.” Would that prove that we had discovered the remains of Jesus. No. Both Jesus and Joseph were common names at the time. To date no one has made a credible case that the bones of Jesus have been identified. So there is no material evidence to examine in order to shed light on this question. OK, if we have no literary evidence or material evidence to go on, what do we do? Well, we proceed cautiously and consider the experience/culture of people who are roughly analogous to the time of Jesus. What happens generally to people who are 30 plus years old who do not have access to fluoride in the water, modern toothbrushes, toothpaste, dental floss, and the kind of dental care we are accustomed to. Now this is not to say that Jesus and his contemporaries had no dental hygiene at all. 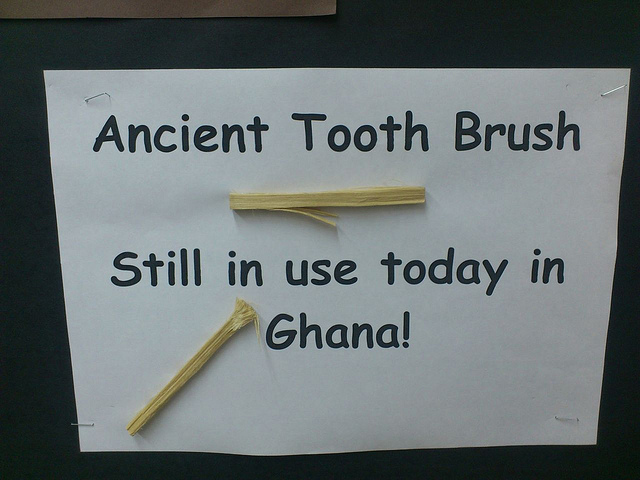 We know that ancient peoples used chew sticks, bird feathers, and twigs to clean their teeth. We know too that Greeks and Romans had developed what we might call toothpastes that were rubbed onto teeth with their fingers or rags. These methods were better than doing nothing at all. But even with these we don’t have to look far around the world to see that many adults in their 20s to 30s begin losing their teeth to decay and periodontal disease. In fact most people who have no access to dental care begin losing teeth in their 20s. Tooth decay is caused by a combination of bacteria and food. Bacteria feed on the sugar in the foods we eat to create acids and those acids break down our enamel causing decay. Enough decay means we lose the tooth. The normal diet in Jesus’ time would not have included as many sugars as ours, but the wine people drank had some antibacterial properties. But that was not likely to have been enough for people to have kept all their teeth into their 30s or 40s. It is always a bit dicey to move from the general to the particular. What is generally true for most people is not always true for an individual. While most people in their 30s across the world with limited dental care suffer tooth decay and loss, we cannot say for certain what has happened to a specific person in the past. So, did Jesus have all his teeth when he embarked on his public ministry? Probably not. We cannot say for sure. But even if he had, no one listening to Jesus teach would have thought it strange because most everyone they knew of that age had lost one or more teeth. Now, as I said, this is first of all a historical question, but since Christianity is a faith based in history there are theological ramifications as well. In the next post we will explore some of those. I looked up the word “judgmental” in dictionary.com. Here is what it says: “1. involving the use or exercise of judgment; 2. tending to make moral judgments.” Based on that definition, it seems to me all of us need to be “judgmental.” All of us need to exercise judgment, hopefully good judgment. All of us should be thinking about morals and ethics, pondering the consequences of our actions, and advocating for what is good and true and right. Seems to me we do this all the time. Some people have thought Jesus prohibited his followers from ever exercising judgment or expressing an opinion. Not true. If so, then Jesus violates his own principle time and again. In fact in the very next breath Jesus says: “Don’t give precious things to dogs. Don’t cast your pearls before swine. . . . “ (Matthew 7:6). Now Jesus isn’t talking about pets and barnyard animals. He is talking about people. Some people are dogs. Some are swine. In other words some people are like animals, unable to distinguish between one thing or another. You don’t share with them holy and precious things; they will ruin them and then turn on you. Later in Matthew (chapter 23) Jesus criticized the Pharisees for loving attention, keeping people from God, and stealing from the poor. He says, “Woe to you Pharisees, woe to you who teach the law, hypocrites! You traverse hills and mountains and seas to make one convert, and then when he does convert, you make him much more a son of hell than you are. . . Woe to you , teachers of the law and Pharisees, you hypocrites! You are like a grave that has been whitewashed. You look beautiful on the outside, but on the inside you are full of moldering bones and decaying rot” (Matthew 23:2-39). Seems to me Jesus has made a judgment. Seems to me he has expressed a judgment. Seems to me he is not being very PC. So what do we make of it? First, let’s recognize that Jesus was a deeply polarizing figure. People either loved him or despised him. He made a lot of people angry, particularly people in power. Ultimately, he was crucified on a Roman cross for sedition. Let’s leave behind the silly, adolescent notion that Jesus walked around spitting out witty aphorisms and telling everybody to get a long. Jesus’ wasn’t crucified for being “nice” and urging everyone to be “nice” too. He came into a world deeply marred and broken. Some powerful people had vested interests in maintaining the status quo. Jesus muddied their water. So what does Jesus want us to do? Well, he wasn’t saying: “don’t form an opinion.” He wasn’t saying: “don’t express an opinion.” Based on the entire teaching–admonition, rationale, example, and restatement—Jesus was urging his followers to examine themselves first before seeking to correct another brother or sister. In other words, correction is needed in the church. Your friend may have something in her eye. She needs help getting it out. But before you can help her, you must remove the obstruction in your own. If you are addicted to money and what it can buy, don’t go around correcting others for the same problem. Do they need help? Absolutely. But you are not the best person to offer correction. If you have trouble being faithful to your husband, don’t condemn somebody who is struggling with the same problem. Does she need help? Absolutely. But you are not the best person to offer counsel. If you have a tendency to lash out in anger, don’t be hyper-critical of a brother with an anger-management issue. Does he need help? Absolutely. But you’re not the one to be able to bring correction. At least not until you have dealt with your own issue successfully. The lecture will be held November 5, 2013 in Belin Chapel at 7.00 pm (Central) on the campus of Houston Baptist University. The lecture is free and open to the public. I received an email from someone recently. 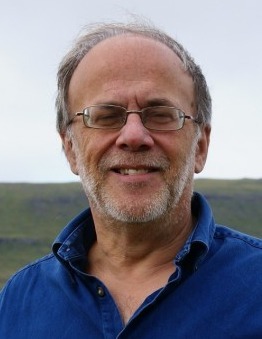 He relates an indictment against mainstream Christianity from a messianic Christian perspective. I’ve changed the names and edited slightly our correspondence (to protect the innocent). Hello, Dr. Capes! My name is Cody Hall, and I am a student. I looked at your information on the HBU website, and your interests and publications have prompted me to come to you for a few answers (via email). 1) Christianity as we know it is based entirely on an incorrect interpretation of Paul’s writings. Particularly, we incorrectly misread Acts 15 and Galatians. C) using religious language based in paganism, such as “Lord”, “God”, “sacred”, the Trinity, etc. 3) Translation errors: Christianity uses incorrect translations of scripture (especially the NT). These translations obscure the reverence of the Torah in the NT and the teachings of Paul. These translations are also “translations of translations” because the NT was originally written in Aramaic and later translated into Koine Greek. 4) Jews and Gentiles are now one in the olive tree. When you are grafted in, you also inherit the laws of Moses. 5) The “lawlessness” described in the NT are those who do not observe Torah. These are the people who will come before the Lord and be turned away in their “lawlessness”. My parents have been members of this congregation for many years. Their congregation is called ********** and they have a website. I used to be very sure this was all entirely incorrect, but being home for the summer has started to fill me with doubt. My parents seem very happy and have many kind, new friends. 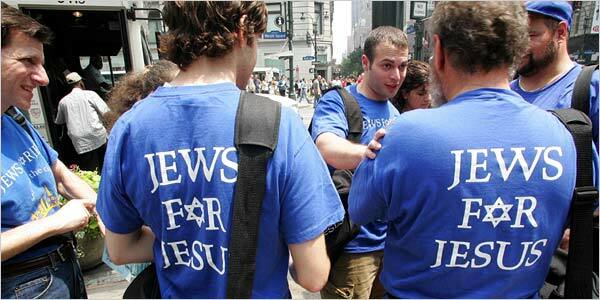 It appears many evangelical Christians are converting to messianic Judaism. I also do see glimmers of truth and hear some fair critiques of mainstream Christianity (some even I have thought). I’m sorry this is a bit lengthy, but I hope that maybe you could share some wisdom on the matter. Thank you very much for your time. Thanks for your email. I have a number of friends who are messianic Jews so I’m quite familiar with the movement. However, I’ve never heard of a group that looks down so judgmentally on others calling them hypocritical, incorrect, error-filled, lawless, etc, for not agreeing with their interpretation. I’d be wary of any group that thinks itself so “right” and everyone else so “wrong.” God resists the proud but he gives grace to the humble. However we hold faith in the Lord Jesus, we should do so humbly. The fact that your parents and others are happy in this movement and have good friends in itself is not a measure of its truthfulness. Nor does it guarantee that they are faithfully representing what other Christians believe. I’d be glad to discuss these issues with you in some length in person, but let me give a basic response to a few of the things you mention. 1. This group claims Christians are “hypocritical” because they keep the ten commandments while rejecting other aspects of the Mosaic law. I would suggest humbly that most Jesus-followers and even orthodox Jews practice Mosaic law selectively. Do women in this group follow all the laws of menstruation? Do they put to death children who insult their parents as the law requires? Do they not wear blended clothing (cotton and polyester, for example)? Do they forgive all debts in the year of jubilee? There are principled reasons why Christians read Genesis through Deuteronomy the way they do. People of good faith try to understand what God was doing, saying at the time. They take seriously that God made a covenant with the ancestors of Abraham on his way to redeem the world and that the stipulations and laws of that covenant deal specifically with the children of Israel. Christians take seriously the new covenant established by Jesus with his church. You are probably aware of the Sons of Noah, and the seven laws of Noah. The seven laws of Noah are for righteous Gentiles. There was no expectation that non-Jews had to follow all 613 commands; seven were sufficient. Again, I suggest humbly that most messianic Jews, Christians and orthodox Jews practice God’s law selectively. 2. There is no evidence that the NT was written originally in Aramaic. I’ve heard this, of course, many times but there is no evidence for it. All the earliest documents and quotations we have from NT books are in Greek. That said, I have full confidence that the Greek translations we have of Jesus’ Aramaic-speeches are faithful and true to what Jesus said. God is able to inspire, protect and preserve his Word in whatever languages he chooses. I study and use the original languages (Greek, Hebrew, Aramaic) but do believe that God can speak to people in other languages too. Now I do think that Jesus’ native tongue was Aramaic but there is good reason to think historically that he could also speak Greek since he lived in a bilingual area (people who speak Spanish at home often speak English at work or in the market). Since Americans can often only speak a single language, we don’t realize how people raised in a different environment can speak multiple languages. But they did. 3. I would differ—as would the majority of scholars and serious interpreters—on some of the interpretive issues mentioned in your email. Regarding Acts 15. The purpose of Acts is to show the progress of the Jesus movement from Jerusalem to Rome and from people group to people group (Acts 1:8) (Hebraist Jews to Hellenistic Jews to Samaritans to godfearers to Gentiles). An important moment comes when trying to figure out what Gentiles must do in order to enter the movement and thus enter into Christ. Did they have to live like Jews (technical term is judaize) or could they come as Gentiles. I take Acts 15 as Hebraist Jews deciding to allow Gentiles to enter the community and thus into Christ/baptism/table fellowship without full adherence to the law (circumcision, kosher diet, Sabbath and festival observance). The four things asked by James in Acts 15 are in tune with the 7 laws of Noah, perhaps a version thereof. The reason given is because in all the cities where they will be going there are synagogues and Jewish communities. This is the language of accommodation. In order to keep from offending Torah-observant Jews please refrain from sexual immorality, idol worship, eating things killed via strangulation, etc. Perhaps the key is James’ quotation of Amos in 15:16ff. The dynasty of David is to be reestablished (Jesus), Israel is to be restored and the exile ended, and the full inclusion of “the nations” is what God has in mind. Ultimately the church is a countercultural movement of Jews and Gentiles united in Jesus. So what unites them is Christ not necessarily uniform practices. This certainly complicated. There are many good commentaries on Acts which may help. 4. The Jewish festivals go back to the biblical period but the ways in which they are practiced today by Jews and Messianic Christians do not go back to the biblical period. Most of what is said, done, for example, at a Passover seder is post-biblical, developed in the rabbinic period after Christianity and Judaism had gone their separate ways. I applaud Jesus-followers who attempt to understand his Jewishness and prefer to worship in messianic congregations. I am concerned, however, to think that they would think so highly of themselves and so badly of others who disagree with them. I concur with you there are glimmers of truth and we, as Jesus-followers, need to be self-critical and always reforming our faith to conform to the image and likeness of Christ. There are other messianic congregations that would have a more generous view of more mainstream Christianity. I hope this helps. I’d be glad to visit with you on this and other matters if you’d like. Let me know. How would you answer some of these objections?